For V-day four of us decided to try Osteria Napoli Ristorante as LivingSocial featured it as the best Italian Restaurant in Vancouver. Wouldn’t you know it, it is walking distance from my house? We were able to snag reservations at 7:15 pm, which began a two-hour marathon filled with laughter, teasing and even some good food. Remember my caveat, I am not a food expert, so I don’t yet know how to tell really good authentic Italian cuisine from the regular meat/pasta fare. At Osteria they had these lovely dinner specials where you could get an appetizer, main course, dessert of the day and coffee or tea for roughly $30-36/person depending on the main you choose. Each of us chose a different appetizer. S. had a hefty portion of Italian Salad (we and the restaurant thought it was enough to share between two people); N. had Antipasto All’Italian which looked delicious. N. commented that the pairing of cantaloupe and prosciutto was devine as the cantaloupe sweetness cut the saltiness of the ham. D. had Mussels Marinara. The server claimed it wasn’t too much for one person. “Once the shells are gone,” he said, “it will only be 10-15 mussels.” Let me tell you it was one heaping portion! I had the Esgargots Bourgogne. While my research tells me this is more a traditional French dish, I did like that it was the basic escargot with garlic, butter and probably some oils. I enjoy escargots, but could appreciate the actual heart of the meal as it wasn’t smothered with cheese or hidden in a mushroom cap, as it is otherwise served in most mainstream restaurants. It was a little salty, however, so I needed an extra dinner roll to help neutralize the saltiness and still sop up the butter/oils. Funnily enough, D. was the only one to choose the Rack of Lamb Alla Mustard for her main course (usually rack of lamb is my choice). S., N. and I all chose the Trio of Veal. Otherwise known as veal done three ways. As you can see from these shots, the side dishes were the same. We spent some of the meal trying to remember the ‘fancy’ name for the corn meal patty that unfortunately none of us enjoyed. Finally our server saved the day and told us that it was polenta. 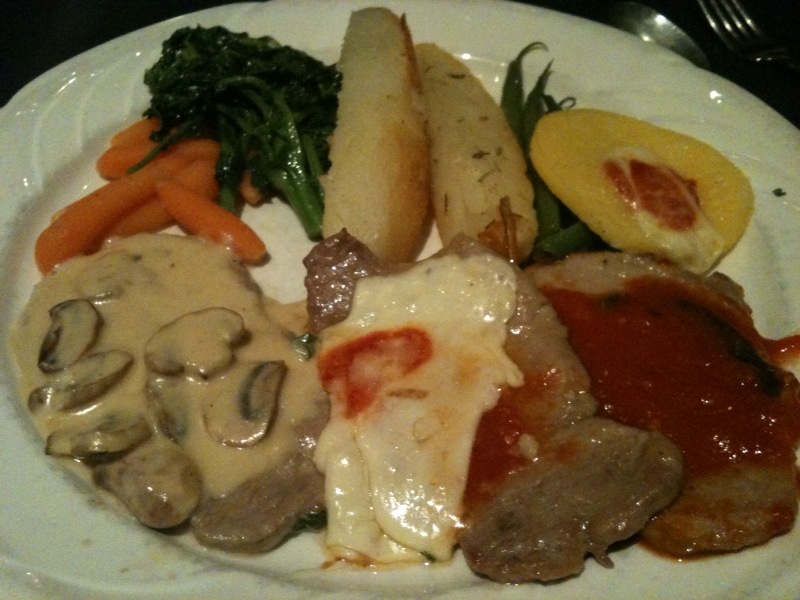 N. and I enjoyed the veal with the mozzarella cheese and tomato sauce, but not the one with the mushroom sauce. Although that was S.’ favourite. 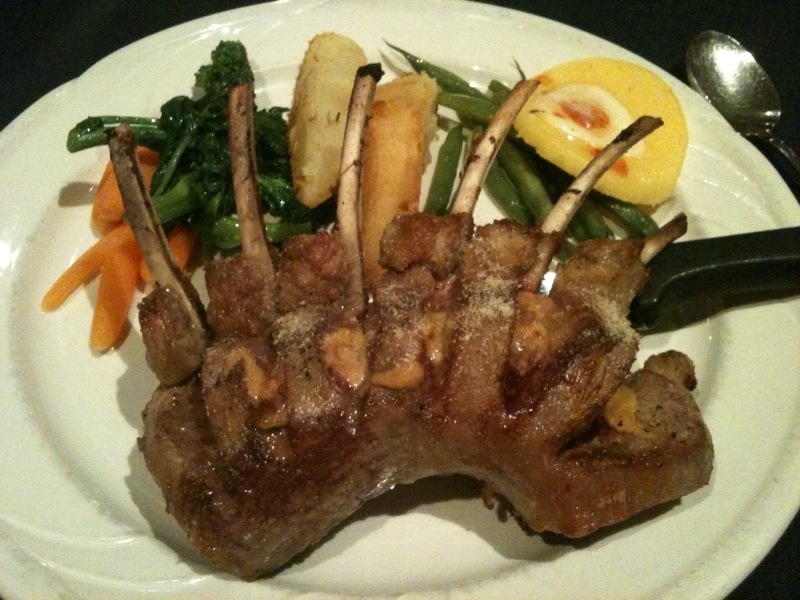 I also tried a bit of D.’s lamb which was a little chewy and not as flavourful as I was expecting. 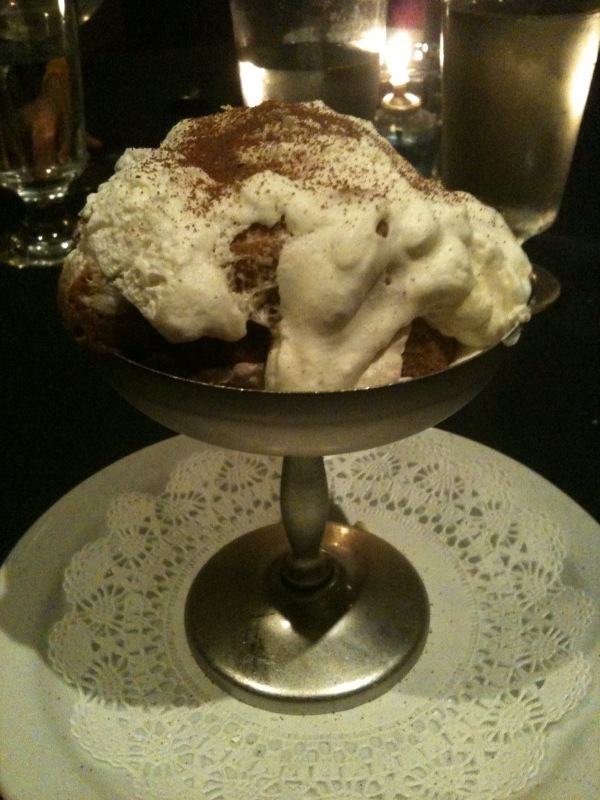 We all ended with Tiramisu for our dessert, some with larger portions than others. Coupled with the wine throughout the meal, strong coffee aftewards, and it being two hours later, I was certain to have an excellent sleep. The reason I named this entry “Most Entertaining” was because our charming server, Lorenzo, was the most entertaining server I have ever experienced. He was very smooth, naturally funny, knew how to upsell without being pushy, and used just the right amount of machismo to keep us laughing! I’m not sure about Osteria Napoli being the best Italian Restaurant for its food, but its service is definitely the best! Next Car cakes are Cool!